The SR1305 bass is no exception. 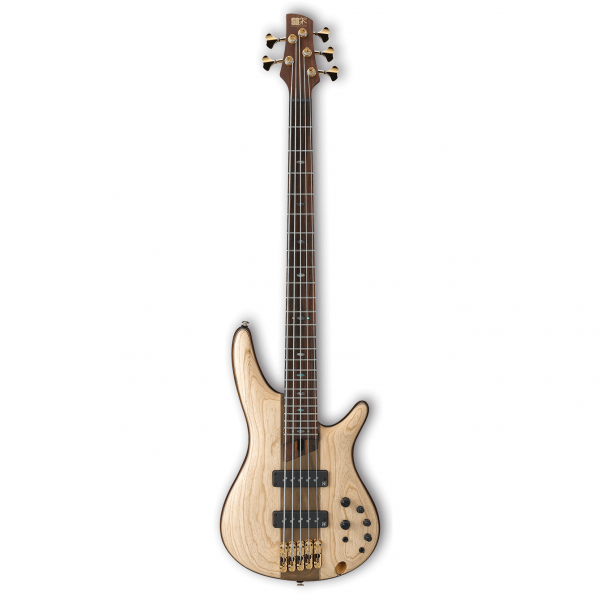 Ibanez chose a mahogany body for exceptional low-end impact and rich sustain. It's finished with an ash/walnut top, a striking look that also enhances your tone. And the five-piece wenge/bubinga neck with KTS titanium rods doesn't just look great, it's incredibly strong to resist warping and twisting over the years. At Ibanez, there's genius in the details. Like the SR1305's innovative Mono-rail bridge with locking saddles, which allows each string to fully vibrate without any interference with the other strings.